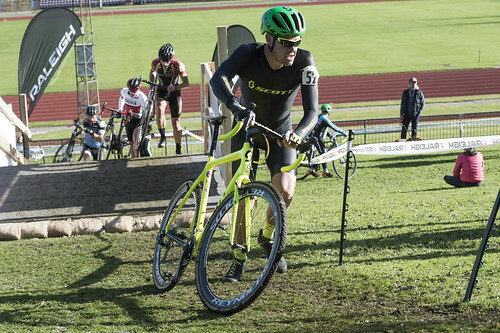 The Yorkshire Winter Cyclocross revisited Myrtle Park in Bingley for Round 4 on the 2nd October. The park is next to the river Aire and set on two levels with the course snaking its way through the trees in the higher section and onto the lower field via some tricky off camber corners which really tested the riders handling skills. 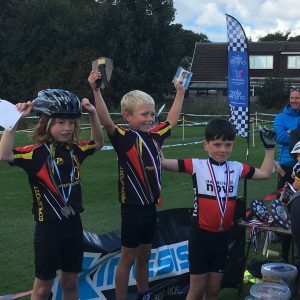 Cormac Denwood took a very early lead in the under 8s and rode strongly to stay way for the whole race and take the win. Mark Ketteringham and Magnus Cormac both rode strongly in a fast and competitive under 10s race. Mark finished 9th and Magnus 10th out of a large field of 45 boys. 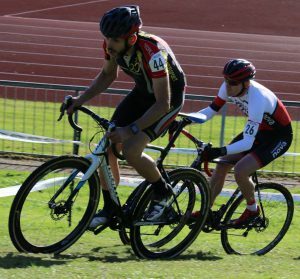 Derby hosted the first round of the National Championships 5 race series over the weekend just gone. Nova’s David Morris was in early action in the Vets 40 race with club mates Charlie Warren and John Graveling in the V50 race. Also in the V50 race was BioRacer Onimpex’s and Harrogate Nova member Ted Sarmiento. Early dew gave way to lovely Autumn sunshine and fast racing conditions on the relentless course. With artificial obstacles included a steep flyover for this year, it was a tough start the Trophy series. From a poor grid position Morris battled on to 29th place which should ensure a better starting place in Abergavenny in two weeks time. The Elite Men’s race was won by Belgium’s Yorben Van Tichelt, Marlux-Napoleon Games with Britain’s Ian Field, Hargroves CyclesRidley RT in 2nd place. The womens race was won by Hannah Payton of Team Kinesis UK. British Cycling Report here. 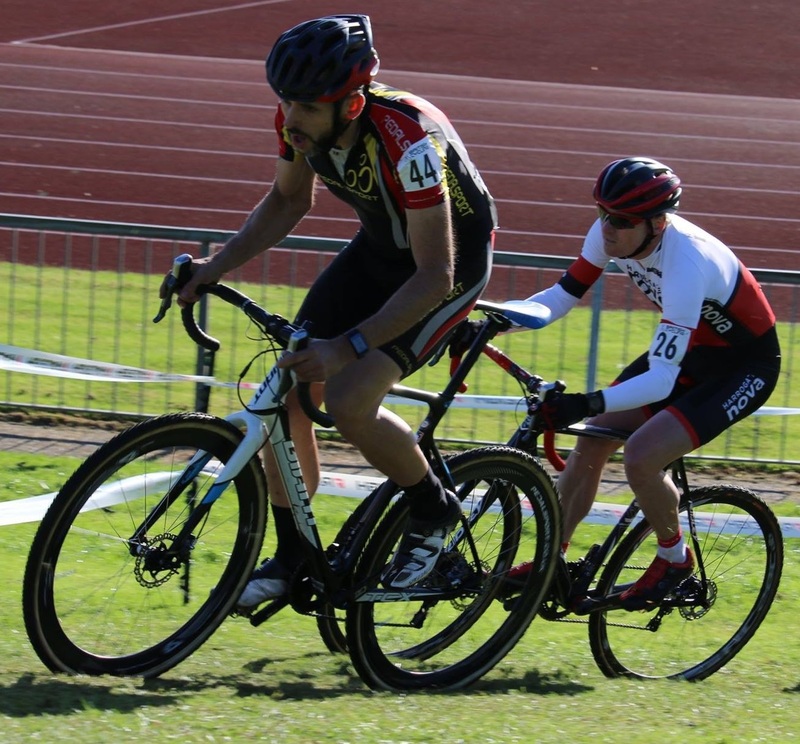 Also in action this weekend were Cormac, Magnus and Mark who all rode in the Newsome Cross. This was an exciting course with the riders having to negotiate riding through a sandpit!! 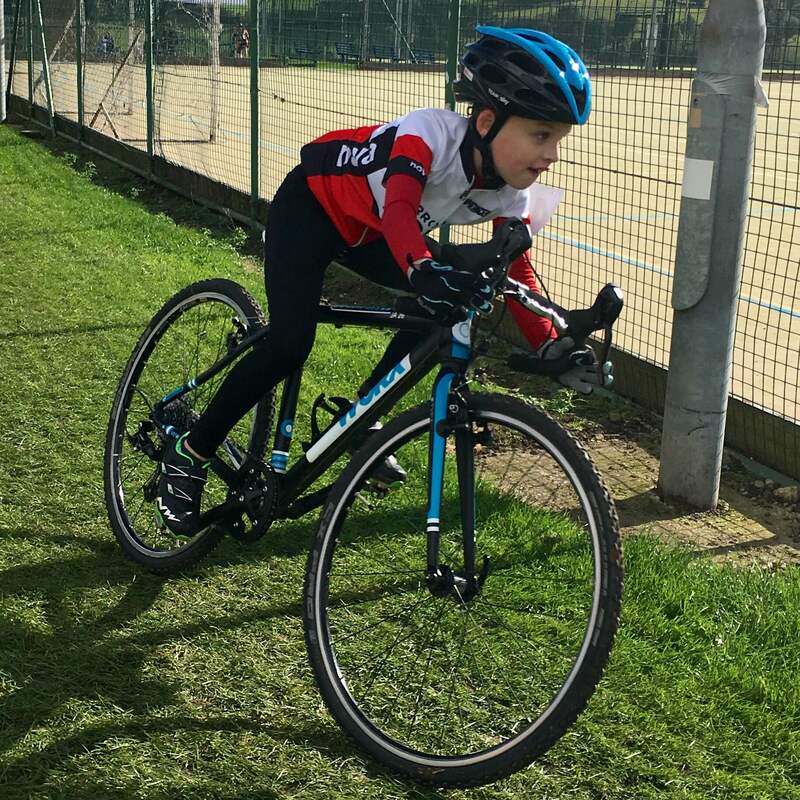 Cormac Denwood had another strong ride this week in the Under 8s finishing 3rd. Once again another podium finish for him. Magnus Denwood and Mark Ketteringham both rode in the Under 10s. Despite being almost two years younger than a lot of the riders both rode fantastic races. Magnus and Mark had a good battle at the beginning of the race, Magnus getting the upper hand with a better start and riding away in the early stages. However Mark powered his way back round the course to finish in 11th place out of 47 and Magnus 14th.